Gigabyte has unveiled a new gaming mouse that offers an improvement over the previous gaming rodents that the company has offered. 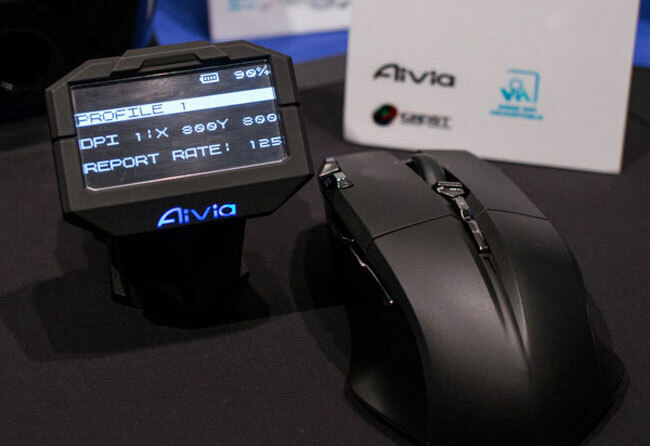 The new gaming mouse is called the Aivia Uranium and is a wireless mouse using a pair of rechargeable AA batteries. Those rechargeable batteries promise up to 70 hours of use per charge. Recharging of the batteries is done by clicking the mouse into the included Ghost Macro Station, which also doubles as the wireless receiver for the mouse. That mouse docking station has its own monochrome OLED display on the front. That display is used to show the frequency and DPI setting of the mouse. You can also use the docking station to create macros that can be bound to the 10 buttons the mouse offers. It’s unclear exactly how sensitive the mouse is, but odds are it’s at least 5600 dpi. The mouse is expected to launch in June and official pricing is unannounced at this time.